Now we’re well into November, don’t be surprised if you wake up one morning to find your back garden a winter wonderland. Snow is silent and can land overnight, sometimes without warning. So it’s best to be prepared for its onset. After all, this time last year the UK was covered in a blanket of snow and there’s no reason to believe this year is going to be any different. You might consider investing in a snow shovel. Public transport systems such as the rail service and local authorities have already issued delay warnings with timetables and alternative arrangements. They’re well set in their winter preparation plans and so should you be. It still amazes me how leaves on the line is a good excuse when we have incredibly high powered leaf blowers at home. How they can’t replicate this technology and spray leaves away from the line shocks me. One good thing about the snow is that the pests you’re continually fighting with insect and slug control, who normally like to gnaw on your vegetables and plants, won’t be able to survive it. Snow can also act as an insulating blanket to plants, allowing them to avoid the worst of the icy killer winds. It can also rehydrate plants as it melts. Many wild plants rely on melting snow for their continued survival. The bad side of snow is the fact that snow can break branches from beloved trees, especially evergreens. Plants, even the hardy variety, also hate the freezing weather that’s responsible for creating snow in the first place. However some of them can survive temperatures as severe as minus 15 centigrade. They’ll start to sprout again once the temperature picks up to around 25 degrees centigrade. In a way our plants have already begun preparing for snow. Autumn allows them to rest, hibernate (think the herbaceous variety) and conserve energy. They are expecting the cold period. Crops which are fine to leave in the ground during snow are broccoli, cabbages, turnips, Brussels sprouts and even lettuce. In fact, kale and Brussels sprouts are said to have a better taste after being exposed to several gruelling periods of frost. you’ll need a good knife to harvest the crop and a comfortable pair of gardening gloves. Annuals may have been killed off by the cold weather but they have left seeds and bulbs for further germination at a later stage. 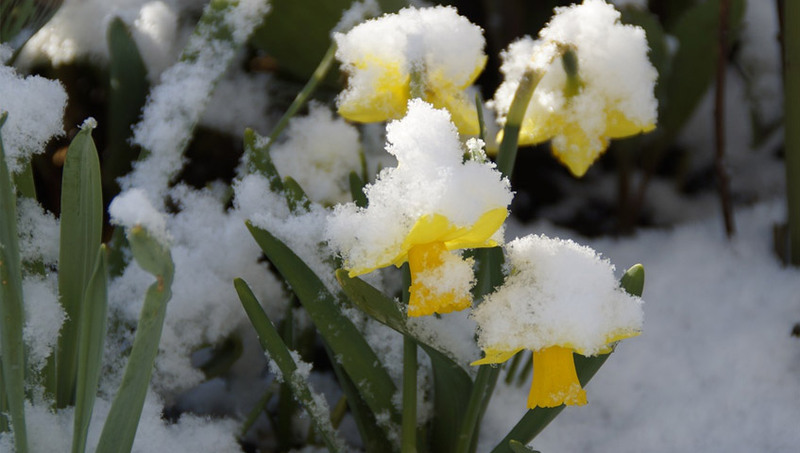 Some plants, such as primroses and garlic, actually welcome the cold weather as a trigger to spring growth. There’s even a name for this – vernalisation. Despite the wrecking capacity of snow, a bigger threat to plants and the garden in general during the winter is the icy winds (even one as light as a breeze) and the chill factor they bring. Poor plants are just as susceptible to chill winds are we are. They will become dehydrated and, combined with frozen soil, may die off. It’s amazing to think of dehydration in the winter, you would expect summer dehydration to be the only case. 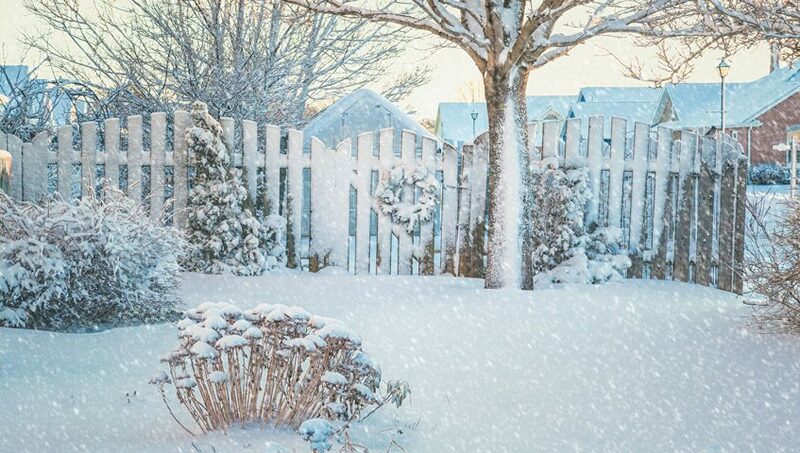 A good protector against icy winds for plants and other potential perishables in your garden is hedges and other forms of windbreak such as an arbour or garden shed. These work by breaking up the wind so that its force is diminished. One thing gardeners should be keeping a careful eye on this winter is a disease called fusarium which thrives on wet grass beneath a layer of snow (turning it mouldy). The disease can be identified by means of a formation of pink patches on your lawn. In some cases, the colour is white. It can also result in muddy patches on the lawn. Two years ago gardens in Yorkshire were particularly badly hit. Heavily fertilised lawns are more vulnerable to fusarium as the grass is soft. Waterlogged lawns are also susceptible. The good news is there is a fungicide treatment which works against the disease and allows the soil to breathe. Good luck with your garden this winter and happy prepping!